Social media is a critical component of IITA’s integrated communication strategy to create greater engagement with its network of strategic partners, experts, and influencers who support the Institute’s vision of transforming African agriculture. The IITA Communication Unit organized a competition for the most proficient Twitter users among the scientists and hubs during the 2018 Partnerships for Delivery Week (P4D Week) themed “Beyond Research,” held at the IITA Headquarters in Ibadan, Nigeria, 26 to 30 November. 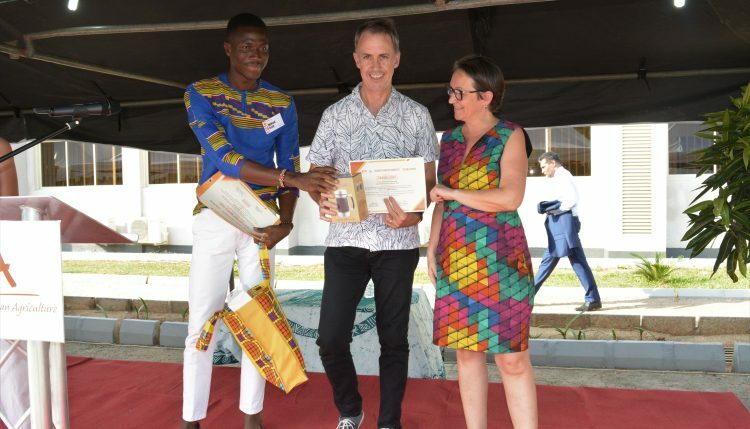 The competition had three main categories: Best IITA Scientist Twitter User, Best IITA Hub/Station Twitter User, and Special Award for IITA Promising Scientist Twitter User. These awards recognized the scientists/hubs’ contributions to the overall successful social media coverage of the program using the hashtag #P4Dweek. IITA Plant Health Specialist James Legg (@jamesplegg) emerged as the Best IITA Scientist Twitter User with the highest score of over 70 tweets with 1,000 engagements and 65,000 impressions. 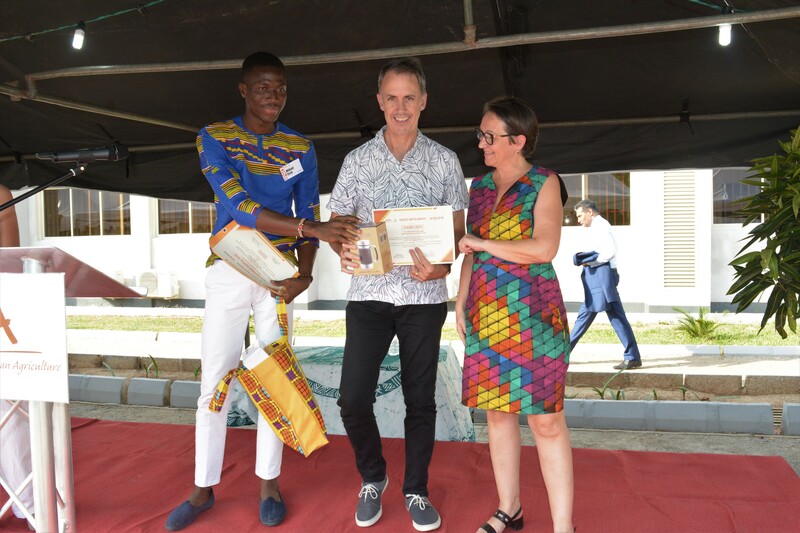 James Legg is named Best IITA Scientist Twitter User during the 2018 P4D Week. In the second category, IITA Eastern Africa Hub took first place with a high score of over 500 tweets from more than 70 users. The tweets with the hashtag #iitaEastAfrica had over 50,000 engagements, and 3,000,000 impressions. Pat Udomkun, IITA Food Scientist (@pat_foodsci) won the third category with the highest score of over 30 tweets, over 100 engagements, and 23,000 impressions. Social media offers high visibility, increases the opportunity to engage with all the actors in the agricultural development sector, and helps rural communities gain a voice, making development bottom-up. ‘’What we really want to achieve with social media at IITA is to promote the Institute as a thought leader and ‘go to’ knowledge broker that adds clear value to discussions on agricultural research for development, biotechnology, food security, agribusiness, etc.,” said Mikaïla Issa, IITA Social Media Coordinator who led the P4D Week Twitter Contest.